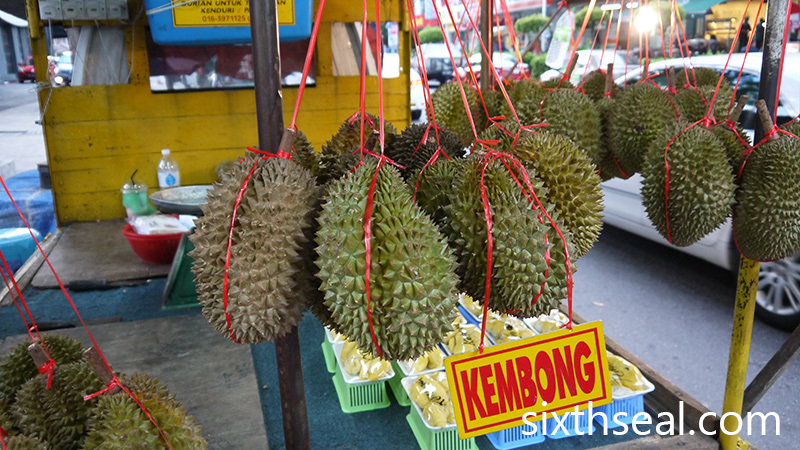 I have heard a couple of friends telling me that there are durian buffets thorughout the year where you just have to pay rm10 for unlimited serving of durian. Do you have any idea where they could be? Hi Fabian! 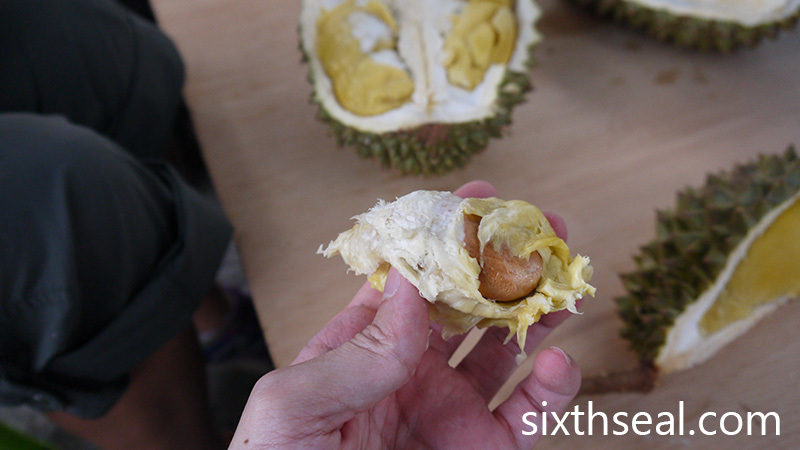 There’s usually a few offering 10 RM all you can eat in the peak season, like Donald’s Durians. But for 10 RM usually it is just Kampung, and the quality to me is not worth it. 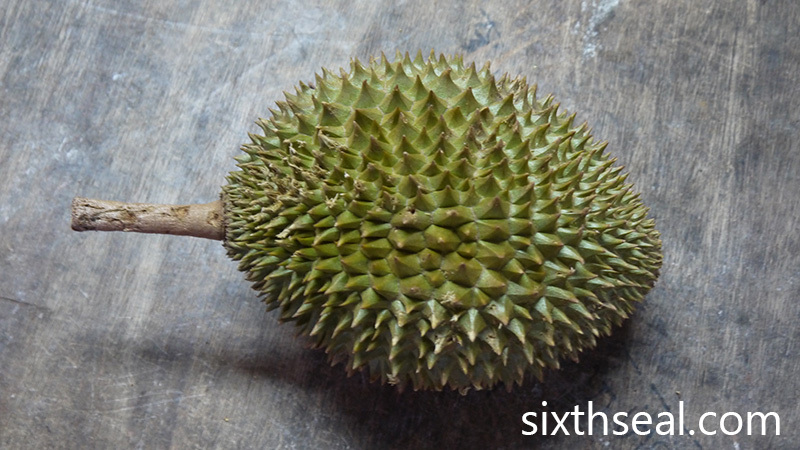 I’d rather pay more for yummier durian! I can’t take too many durian, heatiness will set in giving me sore throat though drinking salt water from the skin shell all the time..great to know that Lindsay appreciate the king of fruits so much. Wowwwww!!!! 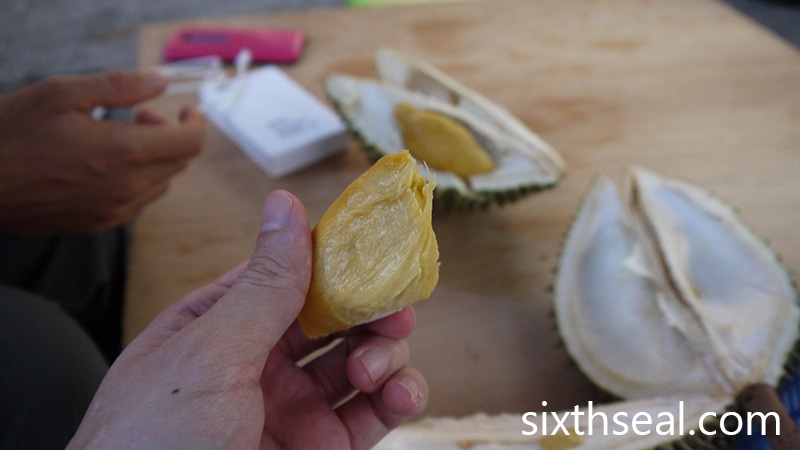 Durian feast! They all look so good, love the yellow flesh. Would be great for the Thai durian pulut dessert. 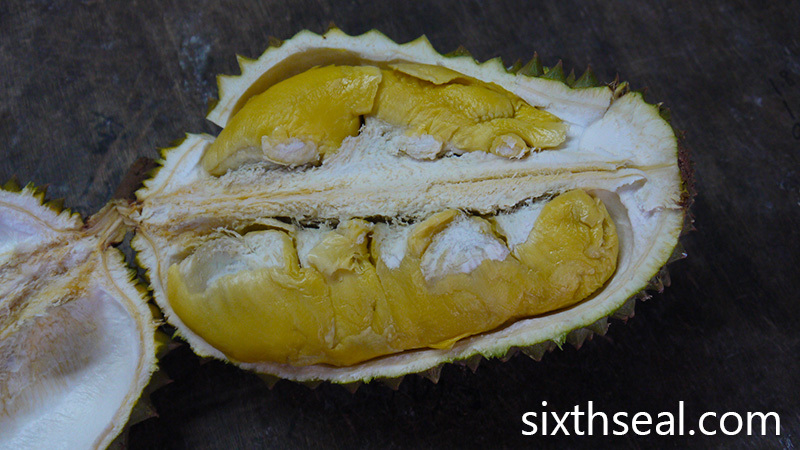 Durian is in season again. In time for the berbuka pausa buffet. Just in case you are not aware that there is this famous stall inside Taman Tun’s Market who operates at night inside the car park area. 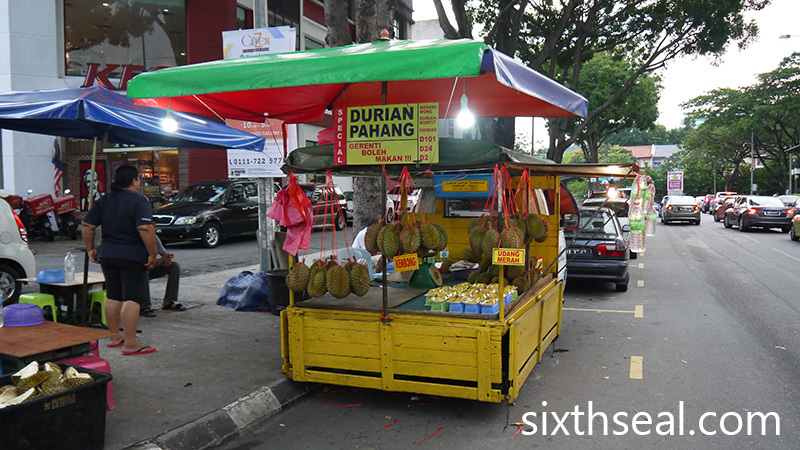 His durians are very-very special ones and his regulars are all the Tan Sris, Datuks and even Pak Lah who frequents. I had never patronized but often saw the seller’s FB photos. If you are interested to know this seller, I can search his contacts. 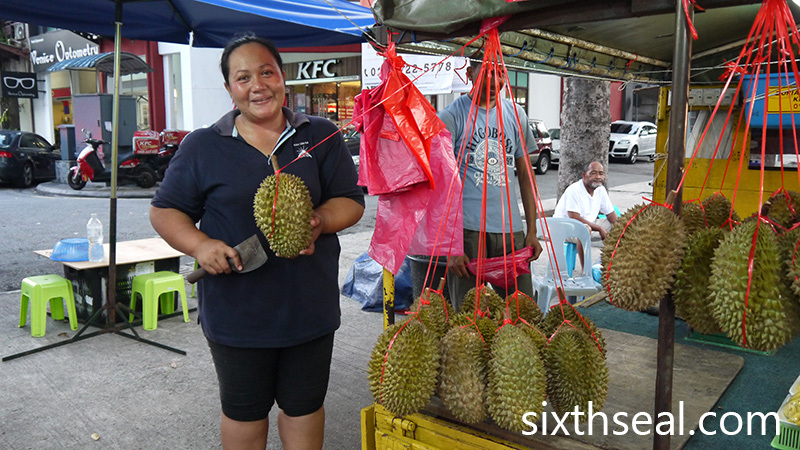 Hi..i was fascinated by your durian hunt which i’ve been doing over the years. I was just wondering about ang heh variety..i had come across many places ie malacca, kl, bentong etc that sell this variety during off season..what surprise me was that the off season ang heh seems very sweet and lack the punch from a typical ang heh..even the thorn look very green and shape like chanee ..but all these sellers seems to insist it is red prawn..do you come across such experience? I have this experience a lot. Red Prawn can have more green rind when it grows in Malacca and Johor, but it shouldn’t have a shape like Chanee. I think its common for things to get mislabeled. 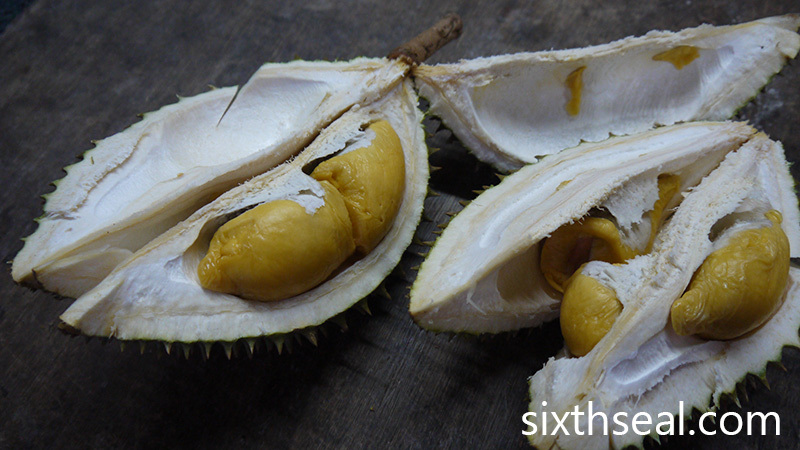 So much knowledge about durian from you! Thanks for sharing! Wow. The durian looks very yummy. 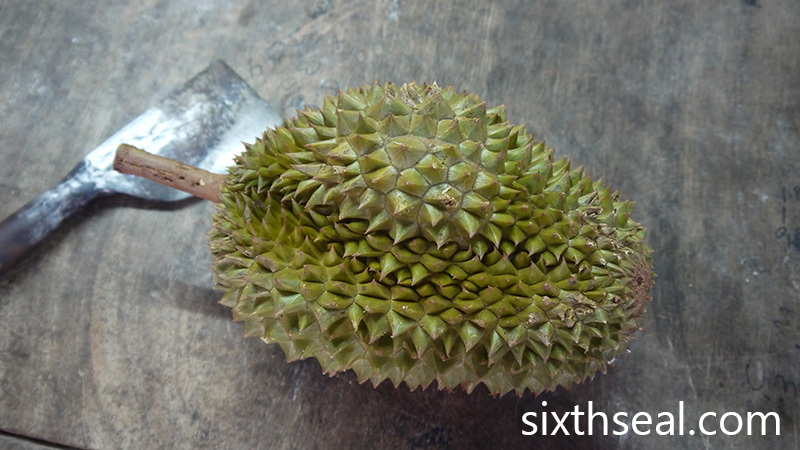 Your friend like durian? Usually I see foreign visitors don’t like. 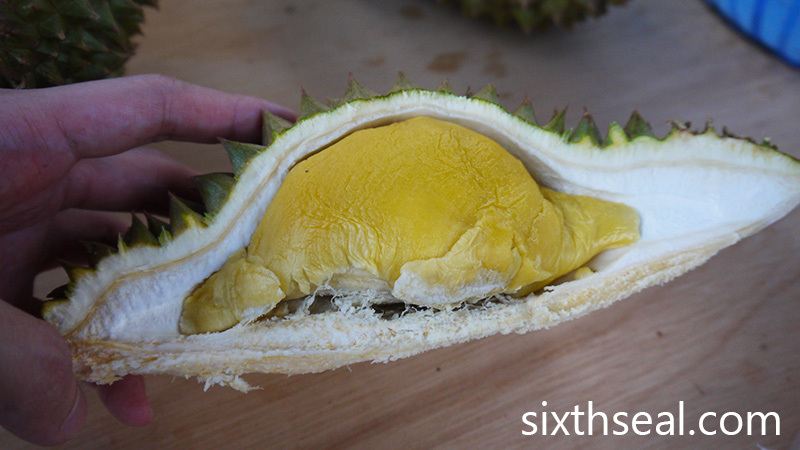 But I do know that D24 has small seed and Musang King has deep yellow flesh. Heh.